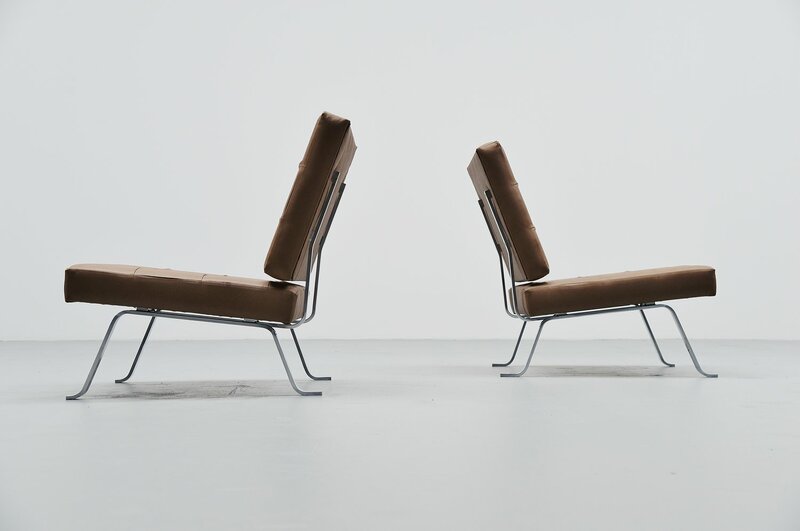 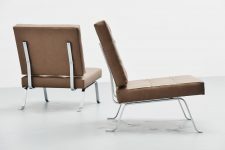 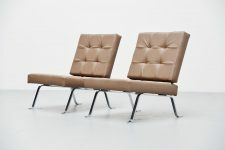 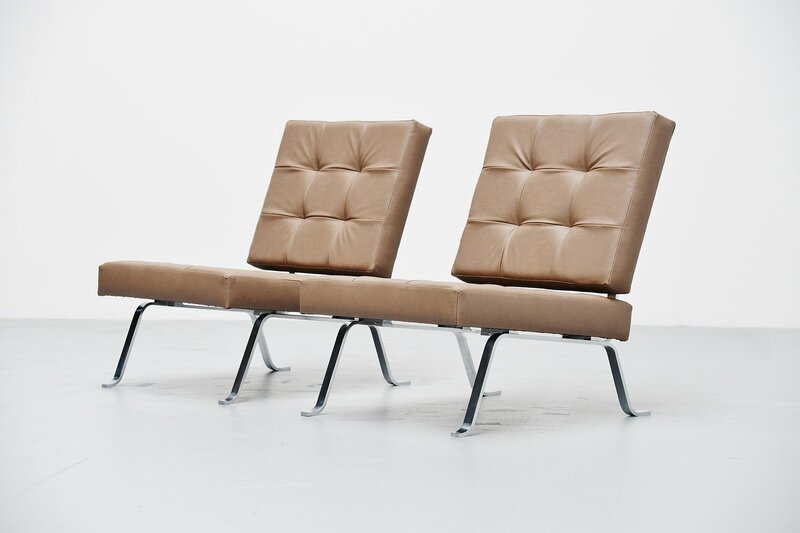 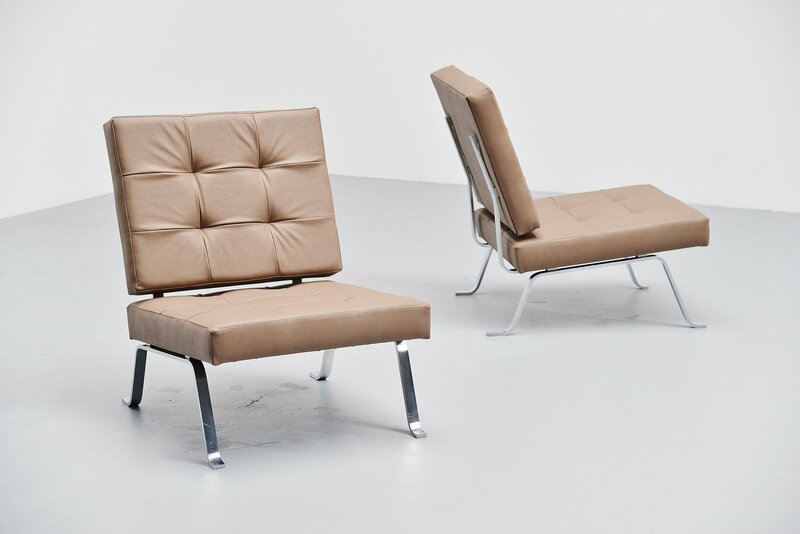 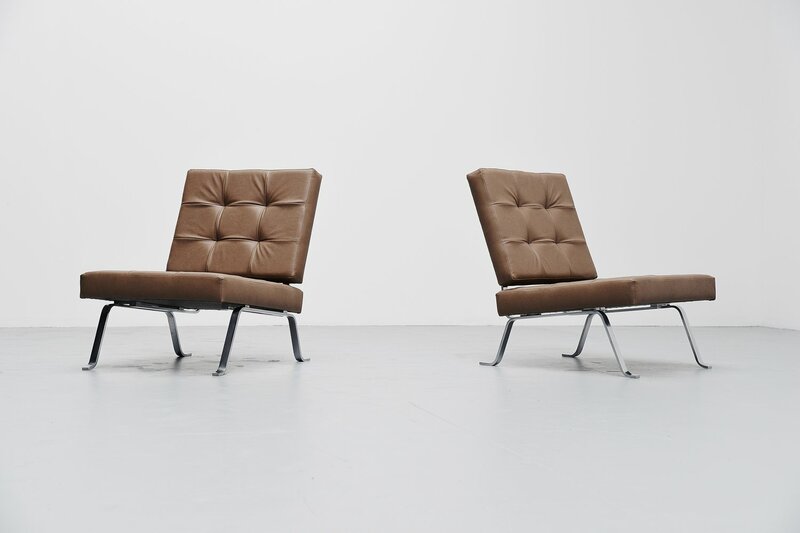 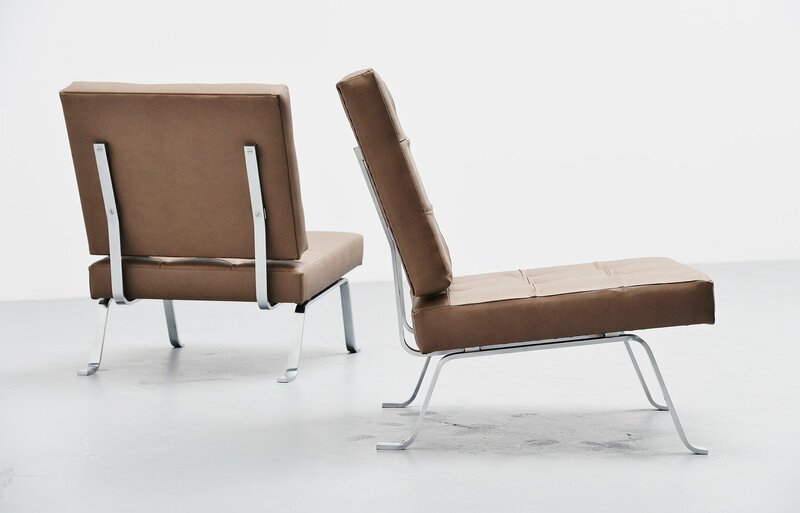 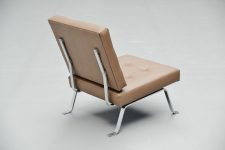 Very nice pair of lounge chairs model AP60 designed by Hein Salomonson for AP Original (Polak), Holland 1960. 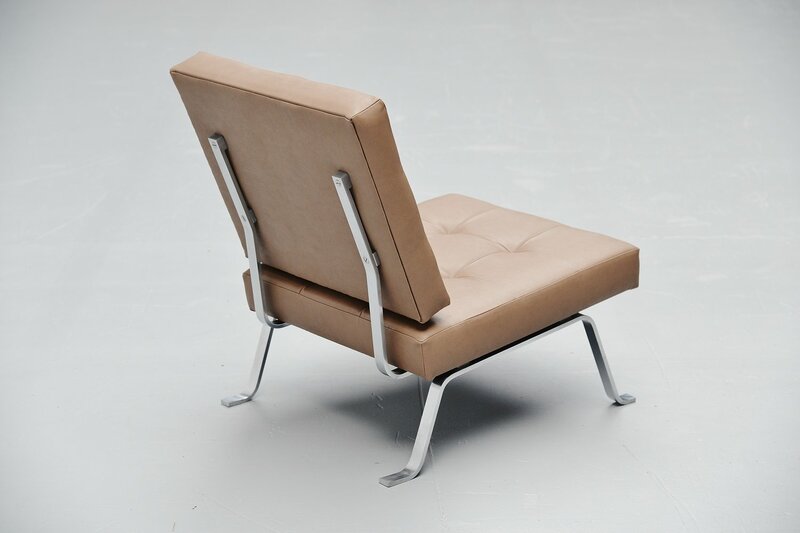 These chairs have solid metal chrome plated legs and are newly upholstered with faux leather that was very close to the original upholstery. 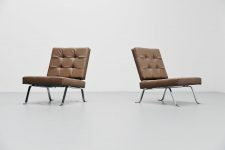 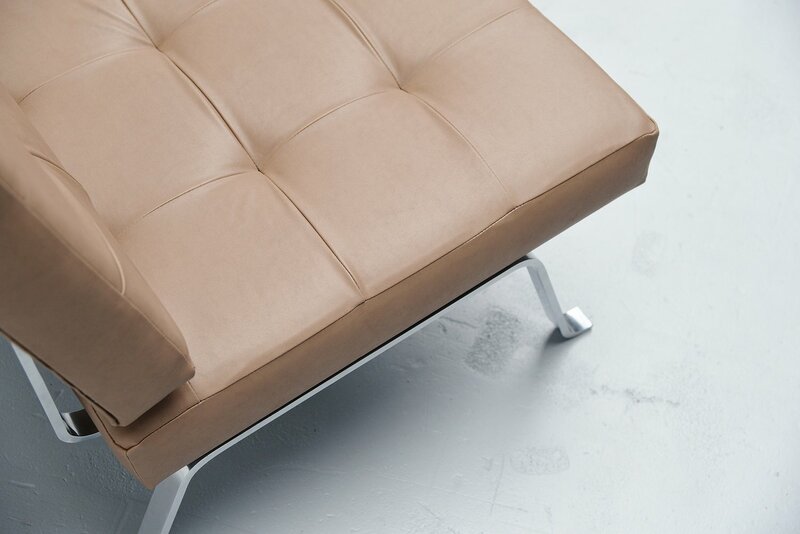 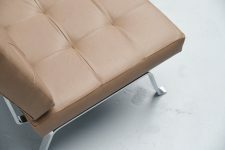 These chairs are a combination of the Barcelona chair by Ludwig Mies van der Rohe and the PK22 from Poul Kjaerholm. 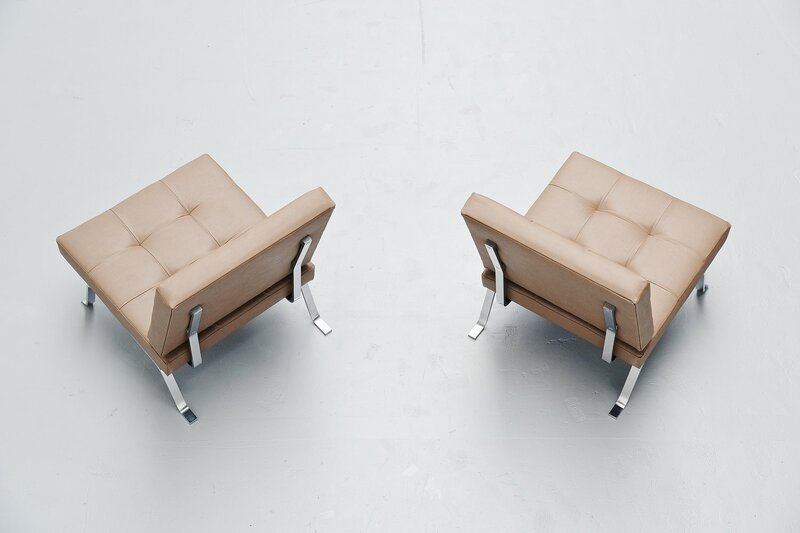 The chairs are very comfortable and look amazing. We have 7 of these chairs in stock, also available in other upholstery if wanted.